The online gambling industry, major operators and punters alike commonly refer to online gaming as iGaming. It is a word that describes a comprehensive industry where people bet real currency on a sports event or a game over the Internet. iGaming include everything from sports and casino games to poker and the gambling industry is on a constant expansion so more games are being added all the time. All over the world, iGaming hubs have emerged, with some of the biggest ones being located in the UK, Malta, Gibraltar and Curaçao. Local casinos and bookmakers who have the headquarters in their countries of origin are also a part of this huge marketplace. All of them strive to secure a chunk of the gaming market, by offering unique products and all sorts of financial incentives. Some focus exclusively on the development of casino games, while others run the gaming environment where players can gamble. The online gambling industry has made giant leaps forward since smartphones and tablets came along and you can see a list of new sites with hundreds of fully regulated gambling operators. These mobile devices made it possible for people to play their favorite games from wherever they were, as long as they had an Internet connection. The main reason for why online casinos are winning the battle with their land-based counterparts is that iGaming is extremely convenient. Anyone can play and punters can compete with their peers from all over the world in a secure gaming environment. Mobile apps act as portals to this gambling world and empower players to have fun with their games of choice whenever they have a few minutes of free time. Everything from slots and video pokers to table games and live dealer versions of roulette and blackjack can now be played on the go. Games powered by random number generators and those brought into the spotlight by real croupiers are just as fun to play on the small displays. The consequence is that more people join the iGaming world every year. The advent of crypto currencies has represented another milestone for the iGaming industry, bringing more players into the fold. The unmatched convenience, speed and privacy of Bitcoin gambling have convinced others to tag along. It was yet another important step made into the right direction, but not exactly a giant leap. As the block chain technology continues to evolve and the number of casinos embracing it increases, Bitcoin gambling is expected to gain further traction. 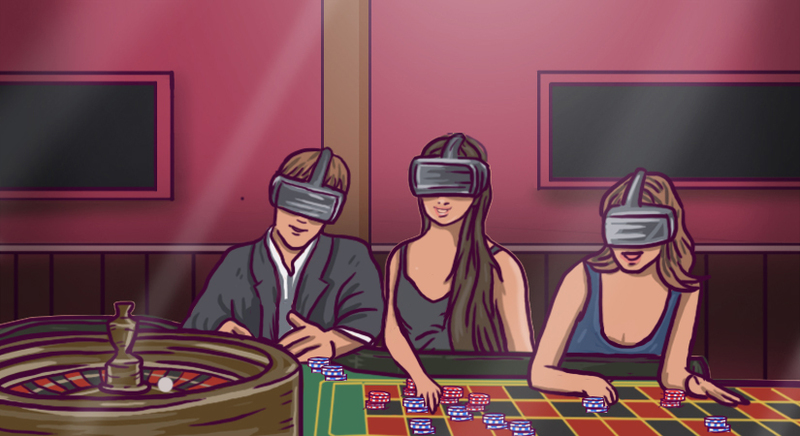 The thing that the gambling industry, as well as the players, is anxiously waiting is the arrival of virtual reality games. There are already a couple of pioneering games to enjoy in VR, but they represent only a fraction of the games available. When online casinos will be able to offer dozens if not hundreds of such games to their members, it’s likely that iGaming will see another surge in the number of new players.